This Sonya Rykiel crochet dress is definitely wearable, fashionable and beautiful. It’s from the Resort 2018 collection as is a matching fringe dress I adore. I was thrilled when I started seeing the photos from Ashley Zhong of Snapdragon Brand on Instagram. Ashley has launched a collection of clothing designs based on crochet prints. 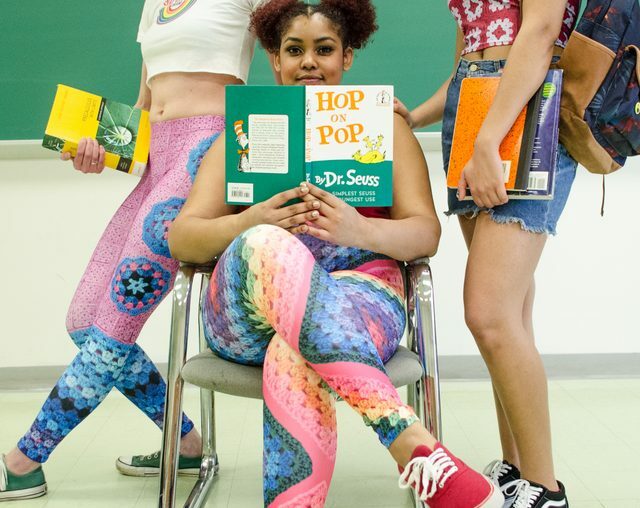 They are colorful, fun, funky, whimsical and crafty. I love them! In this interview she tells us all about this new brand. After looking at the crochet fashion on the runways this year, I was reminded to check in on Katie Jones who always creates knit and crochet collections. She has a SS 17 collection called Pepperland, and when I checked it out I realized I’d never seen her Autumn ’16 collection (“Highland Fling”). Both have great designs! I never get tired of seeing designer crochet hit the runways. 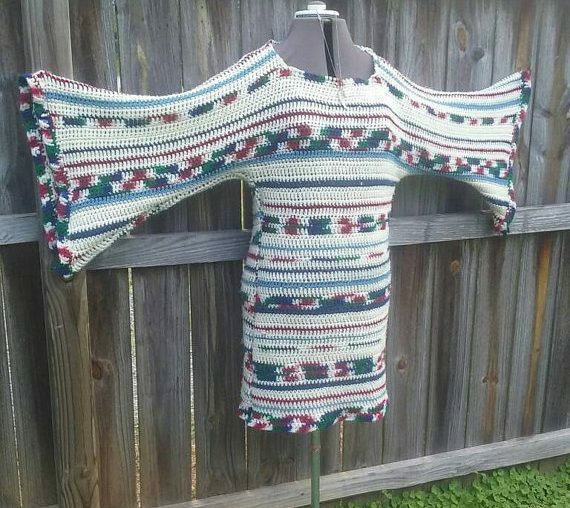 I like seeing the way crochet is used in seasonal fashion trends. I like seeing the bits of handwork in what is sometimes mass produced fashion. I love seeing how craft informs fashion and fashion turns around and informs craft. Here are some of the bits of crochet spotted on recent runways for Fall 2017. A look back at 2016 in crochet. We have already looked at crochet art and crochet books. 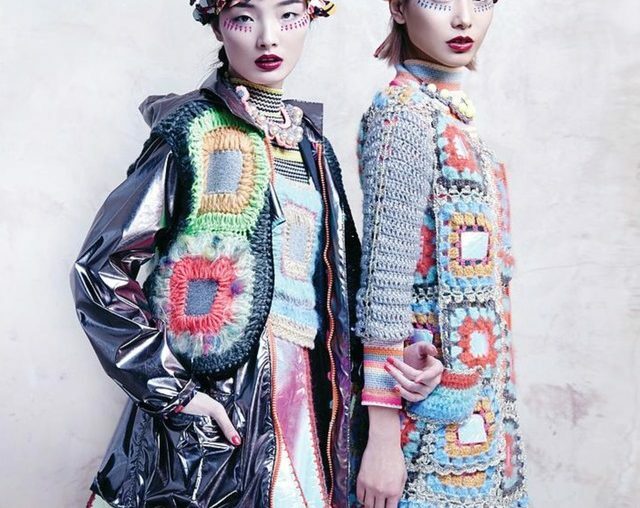 Now let’s enjoy some CROCHET FASHION. It is always inspiring to see designer crochet hit the runways and the shows for Spring 2017 have been no exception. Many crochet blankets have been abandoned over the years, relegated to yard sales, thrift stores and basement storage. Bring those beauties out of hiding and put them to use. Here are 15 fabulous examples of crochet blankets that have been upcycled into new items.